The Global Technologies Magazine published an article in its June-July 2009 edition the rapid growth of the IT Sector in the state of Orissa, India. The article highlighted the prominence of the city of Bhubaneswar, the capital of Orissa, in the national IT scene in India. 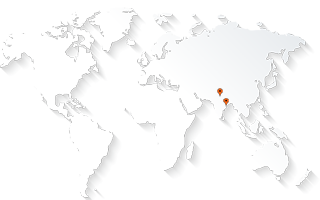 AABSyS is a company that works with GIS companies in US & Europe as their outsourcing partner. AABSyS offers high quality and cost effective GIS Services and CAD Services…. Starting its operations from a single room, today AABSyS has state of the art infrastructure and facilities for 250 professionals in its campus at Infocity. The article also features Mr. Beat Weber, CEO of a Swiss company that has a tie-up with AABSyS talking about Bhubaneswar and AABSyS. He affirmed that connectivity with Bhubaneswar was not really an issue for his company in doing business here as he could reach Bhubaneswar in 2 hours from Mumbai. It’s more important, he said, that they had a stable relationship with AABSyS.